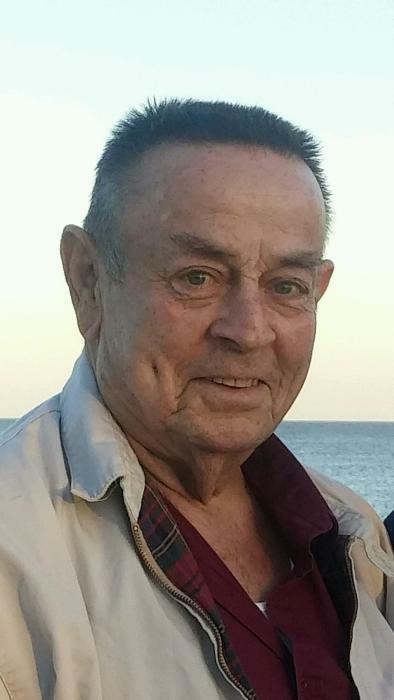 Stewart William Washburn, 72, affectionately known as “Billy” or “Stewie” passed away on Wednesday, March 27, 2019 surrounded by his loving family under the care of Hospice of South Georgia. Stewart was born on May 11, 1946 in Cohocton, New York. He spent his early years in Rushville, New York and served his country in the United States Army. Stewart worked as a mechanic and truck driver for many years and loved carpentry work and fixing things in his spare time. His mother, Mary Elizabeth Washburn; father, Stewart Solomon Washburn and wife, Dorothy; brother, George Washburn; step brother, John “Skip” Clark and sisters, Betty Sullivan, Rose Rice and Janette King all preceded him in death. Survivors include children, Michael Washburn and wife, Donna , Carol Washburn and Doug Washburn all of Jesup, GA; the mother of his children and former spouse, Bonnie Ellis of Jesup, GA; brothers, Harold Washburn and wife, Laura of Clifton Springs, NY, Charles Washburn and companion, Robin Wright of Bath, NY, Richard Washburn and wife, Barbara of Penn Yan, NY, Joseph Washburn and wife, Rebecca of Bath, NY; sisters, Marion Bush and husband, Delos of Bath, NY, Cathy Pierce and companion, Rodney Hoad of Bradford, NY and Joanne MaGee of Dansville, NY; step brothers, David Clark and wife, Mary of Abbeville, South Carolina, Mark Washburn and wife Sandra of Toomsboro, GA and Matthew Washburn of Honeoye, NY; step sisters, Sharon Clark of Collins, GA, Susan Halbert and husband, Tim of Washington State, and Rabecca Elder and husband, Robert of Bloomfield, NY and companion of more than twenty-five years, Fern Burnette of Manchester, NY. Six grandchildren, five great grandchildren with one on the way and a host of nieces, nephews, cousins and extended family members also survive. Graveside memorial services will be at 1:00 p.m. on Tuesday, June 11, 2019 at Bath National Cemetery in Bath, New York. Military honors will be rendered by the United States Army. There's still time to send flowers to the Graveside Service at the Bath National Cemetery (New York) at 1:00 PM on June 11, 2019.